Please review this extensive list of frequently asked questions. Please contact us with any other question you may have. The ayahuasca brew contains the molecule N,N-Dimethyltryptamine (DMT) which is a scheduled drug in most Western countries. Ironically, it is a chemical closely related to the brain neurotransmitter serotonin, and the pineal hormone melatonin. It is a powerful hallucinogen that occurs in many plants and animals, including humans. It is legal in Peru. It plays a central role in the spiritual and cultural traditions of the Amazon, and in 2008 was constitutionally recognised by the Peruvian government as a National Treasure. Why do people take ayahuasca? People choose to drink ayahuasca for a variety of reasons. Some discover the medicine while searching for a cure for physical disease, debilitating mental illness or to help process emotional trauma. Others are interested in exploring their spirituality, and the expansion of consciousness. It is commonly referred to as a holistic medicine that works on the mind, body and spirit. Do you use any additives in your ayahuasca brew? No. We use the traditional recipe of Chacruna leaves with the Ayahuasca vine only. For a detailed answer, please read here. What are the purgative effects of ayahuasca? Following ingestion of ayahuasca, it is possible for you to experience a ‘purge’ in the form of vomiting and/or diarrhea. More broadly, the purge refers to the release of energy from the body in any form, which may include sweating, laughing, shivering or crying. Ayahuasca Shamanism refers to the use of ayahuasca as a tool to achieve a modified state of consciousness in which healing can occur while the Shaman is in commune with the spirit world. For more information on Shamanism, click here. What does medical research say about ayahuasca? We are located in the Loreto Region, 40km outside of Iquitos in Peru. The center is accessible only by boat, which takes 1-2 hours to travel (depending on the boat and river conditions). Is there phone and / or internet at the center? No. If your cellular phone is on roaming you may periodically pick up a signal, but you should plan to be out of contact while on retreat. We are happy to arrange an email to your family to confirm your safe arrival, and every few days we will go to a local village where you can use the internet cafe. We use a generator to power El Centro and our guest houses for several hours each night from dusk. This will provide you with lighting and give you an opportunity to charge your devices. Yes. 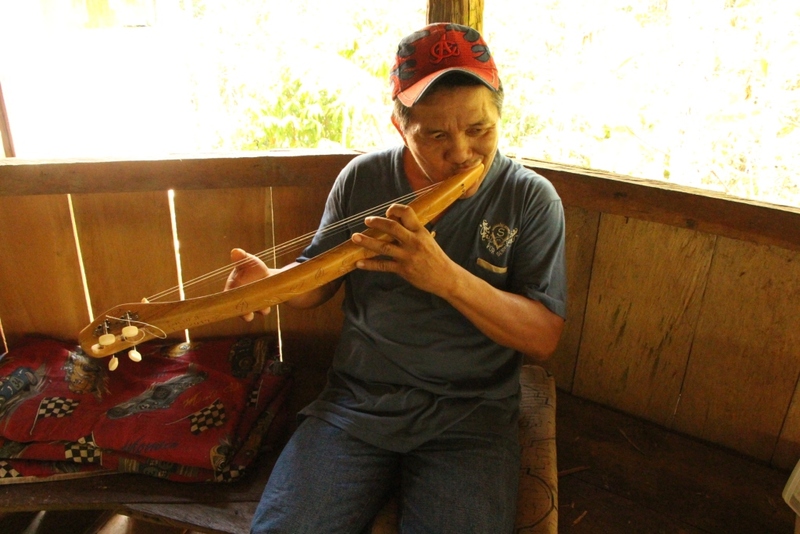 The drinking water in your house and the water used in cooking is purified and sourced from Iquitos. Mosquitoes are a reality in the Amazon jungle. They are not particularly bad at the Refugio, but there population is dependent on season and water levels. The dining area and guest houses are screened for mosquitoes, and there is a mosquito net over your bed. As a precaution we recommend long pants and long sleeve shirts at night time. The ‘ayahuasca diet’ means different things to different people. We serve balanced healthy meals made with fresh produce sourced locally. The diet does not include red meat or pork, and limited use of oil and salt in cooking. We can accommodate vegetarian and vegan diets, and others with notice and instruction. In preparation for your retreat, we recommend you maintain a full balanced diet of fresh fruit and vegetables, avoid red meat, pork and alcohol. The ‘cleaner’ your body is on arrival, the easier it will be for the medicine to assimilate with your system, and you may experience less discomfort during purging. It is also required for you to eliminate medications from your system well in advance of arrival. This should be done safely, with the help and advice of a medical professional. Please review the Medical Advice section for details relating to medication. The houses are of a very high standard. They are large, private and protected. They include an en suite Western style bathroom, with electricity for several hours each night. For more information, please read Our Facilities or check the Gallery for photos. Please consult your physician. If you do choose to have vaccinations, please get them well in advance of your arrival. Most of our guests choose not to have vaccinations unless they intend to travel for extended periods of time. Your country of origin may have a requirement for you to demonstrate you have been vaccinated for Yellow Fever or other diseases upon re-entry, to avoid inconvenience please check. Should I take malaria pills? There isn’t considered to be any significant risk of combining malaria pills with ayahuasca, however the pills themselves can cause unpleasant side effects. The center is situated on high land, and historically malaria has not been a problem for staff or guests at the Refugio. The best way to avoid contracting malaria is to prevent mosquito bites. Long sleeves, insect repellent and mosquito nets can all help. Consuming Vitamin B12 will give you natural defense against malaria. Can I take ayahuasca if I am menstruating? Should I stop taking the contraceptive pill when drinking ayahuasca? Can I attend your ayahuasca retreat if I am taking medication? This depends on the medication, but the standard answer is no. Please read our Medical Advice section to familiarize yourself with the dangers associated with mixing ayahuasca with some Western medicines and herbal remedies. What is a 'psychedelic intervention'? A ‘psychedelic intervention’ refers to the use of a psychedelic substance (such as ayahuasca) to ‘intervene’ on an individuals medical condition, such as addiction or a behavioral problem. Ayahuasca is known to be extremely effective in the intervention of issues relating to drug and alcohol addiction, anxiety, depression, eating disorders and PTSD. Can I arrive in Iquitos the day the retreat starts? No, please arrive the day before the retreat. Are there communal bathroom and shower facilities? No. Each house has its own private Western style bathroom. They are tiled, and include running water and flushing toilet. Please arrive 1 day prior to your retreat! Our Boat leaves Saturday@ 11:00 am the day of retreat from our office at 113-c jr Pevas Iquitos Peru. Economy room: US$45.00* per night. Simple or double room. Superior room: US$90.00* King size bed. Simple or double room. This can be a triple room. Breakfast and pick up service from and to the airport is included. Mention that you are with Refugio Altiplano. Will you transport me to and from your center? • We do not offer airport pick up , we will arrange transportation to the airport at the end of each retreat . So make sure your flight is for late afternoon or evening if you choose to fly out that day . What are the VISA requirements for travel to Peru? You do not need to pre-arrange a VISA for entry in to Peru. On arrival you will be given a 90 day VISA. This VISA can be extended at the local Consulate in Iquitos. Can I change money in Peru? Yes. You can change US dollars and Euros only. You can change money at the airport, or we can arrange it for you at our office. It is preferable that you arrive in Iquitos with some local currency (Sol) for small purchases, tips and incidental expenses. From the hundreds of native Shamans available we work with a select few who meet our requirements of extensive experience, talent, connection with the spirit world and professional integrity. In order to do this we frequently travel throughout the region, attending ceremonies and consulting with other Shamans, healers and friends, to be aware and acquainted with peers in the Peruvian Shamanic community. Each shaman has been practicing Ayahuasca ceremonies for over 20 years. This gracious sacrament empowers us to enjoy our lives and celebrate our birthright to health and abundance on our sacred planet, and we are grateful for the skill, dedication and commitment of our shaman. With the help of our bi-lingual support staff, you will spend time with the Shaman who will help you understand and translate your ayahuasca experiences. To read more about the role of the Shaman during ceremony, please click here.